DAINA was founded in 1989. 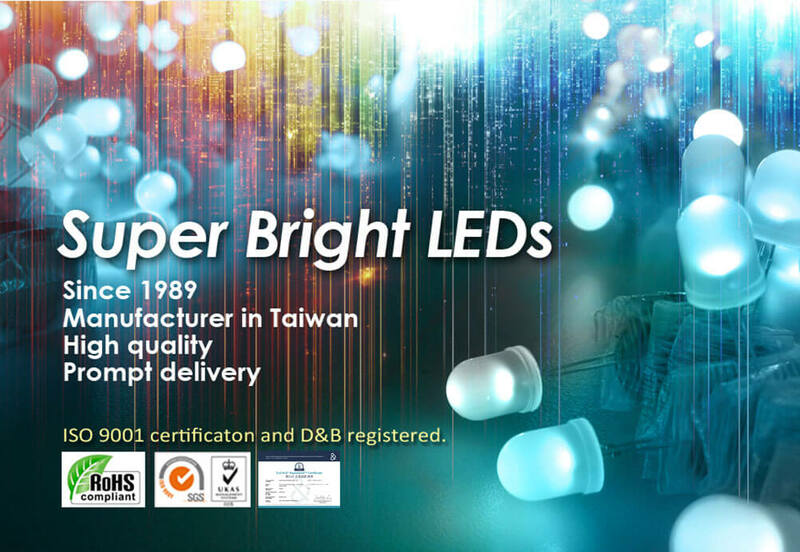 In Taiwan's LED manufacturer packaging industry, we manufacture various LED products, which can be used in many fields, including information board, traffic lights, automobile lighting, liquid crystal backlight, and special lighting. DAINA has established a network of global sales offices and distributors to provide technical assistance; sales support, and express shipping. We also passed the standard certificate of ISO9001:2008. As a LED manufacturer active in the LED industry and the general field of energy conservation, DAINA faces the global warming and environmental protection challenges by research and development ability of energy-saving LED products, thereby serving the needs of society. DAINA manufactures high brightness LEDs with the characteristics of compact size, low power consumption and long operation life. These LEDs also comply with the trend of eco friendly, conserve the energy and reduce carbon emission. DAINA LED products are widely used in the areas such as fax machines, automotive interior and exterior lightings, outdoor/indoor displays, traffic signals, indicators for various consumer electronic equipments and eventually light sources for general illumination. DAINA is confident to provide LED products with the highest quality and be your best choice of LED manufacturer. LED Lamp, Super Bright LEDs, SMD LEDs, Multi-color LEDs, Infrared emitting and receiving LED, Rectangular LEDs, Super Flux LEDs, LED Tape Lighting.